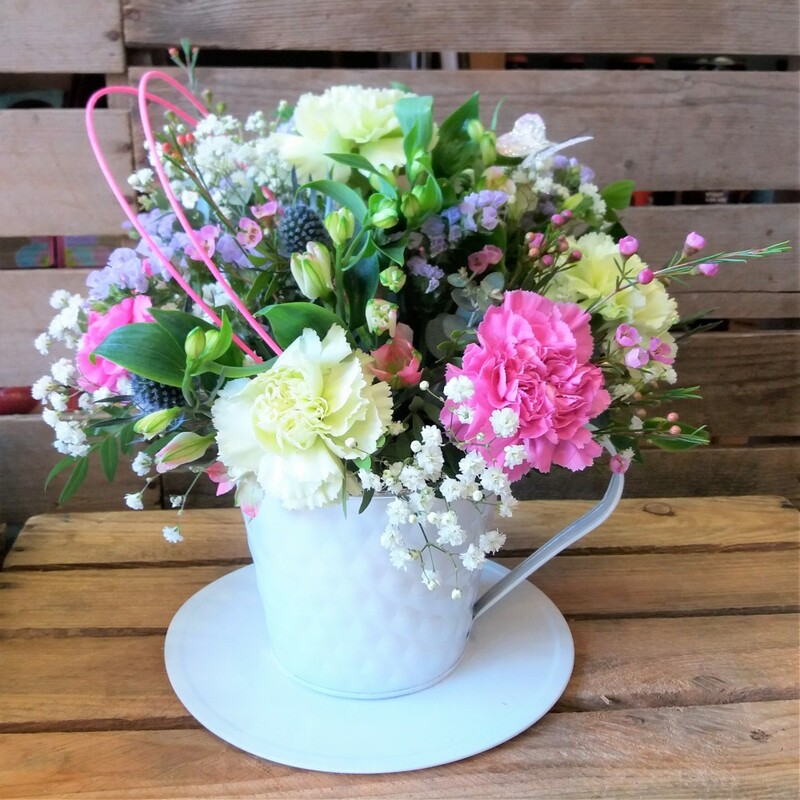 This beautiful floral arrangement in a zinc 'tea cup and saucer' shaped planter is an ideal mother's day, birthday or get well gift. When the flowers have finished the planter can be used again to hold an indoor plant. Cups come in 3 different colours; pink, ivory (pictured) and aqua with flowers to compliment them. Please state your choice in section 2 of your order. Planter is 8cm high and 14cm wide at top of cup. The arrangement will be approximately 25cm wide. Flower content may vary.